The richness that comes from a proper steamed bao is a flavor that I don't think I would be able to quit. It's comfort food I've grown up with, and still crave to this day. Never once, however, would I have thought to introduce the velvety element of cheese to a bao. It's a whole new experience. RiceBox, a contemporary Cantonese BBQ spot located in Downtown Los Angles' Spring Arcade, is home to some mouthwatering steamed baos. Baos, a type of dumpling, are filled with various types of meats and cooked in a steamer until the dough expands and becomes airy. One of RiceBox's most viral additions to their menu, the cheesy bao is an innovative take on the traditional dumpling. 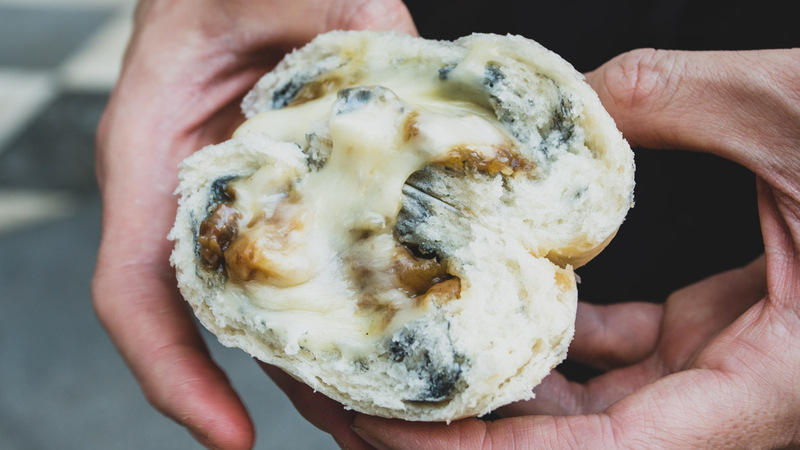 These cheesy baos are made with activated charcoal, flour, almond milk and are filled with char siu BBQ pork and Monterey Jack cheese. When cooked, the cheese melts into the pork and oozes out of the bao as soon as you rip into it. It's a take I haven't seen before when it comes to the iconic steamed dish, but a welcome one to anyone with an affinity for melted cheese and sweet, fatty pork. 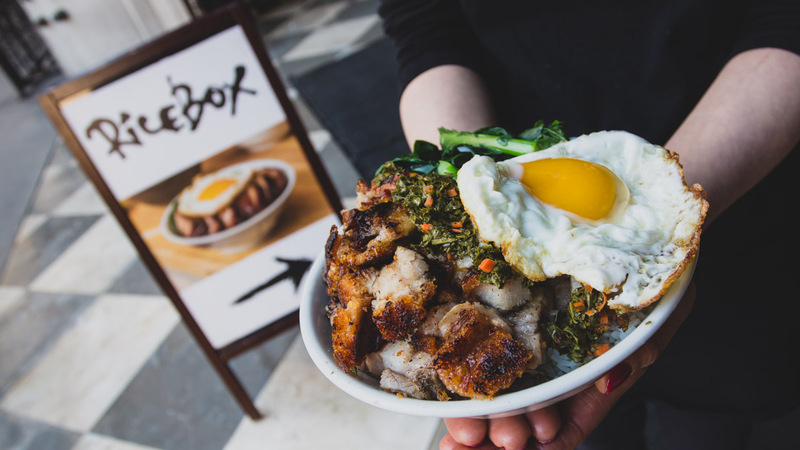 Rice Box's owners, Leo and Lydia Lee, are also famous for their hearty porchetta bowls. The crunch that comes from a bite of their porchetta often echos through the walkways of the Spring Arcade. You can find the cheesy baos and porchetta rice bowls at the DTLA storefront. Their traditional baos are pretty fire as well.